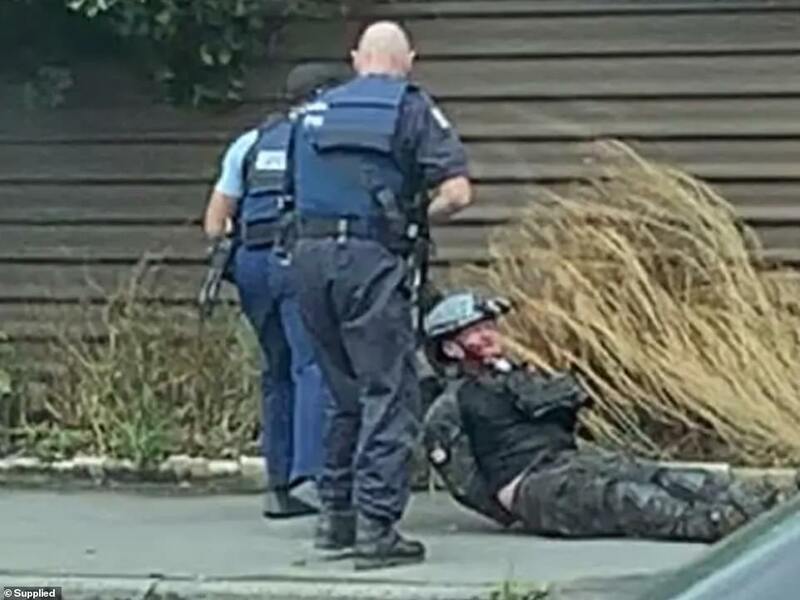 New Zealand Police missed a chance to arrest the alleged Christchurch terrorist before he attacked the second mosque, a new timeline of the atrocity reveals. A bus passed at the exact moment Australian Brenton Tarrant allegedly drove away from the Al-Noor mosque, blocking officers’ view of him as they arrived on scene. The officers, unaware the suspect was just metres away and leaving continue the attack, rushed to help horrifically wounded victims outside the mosque. 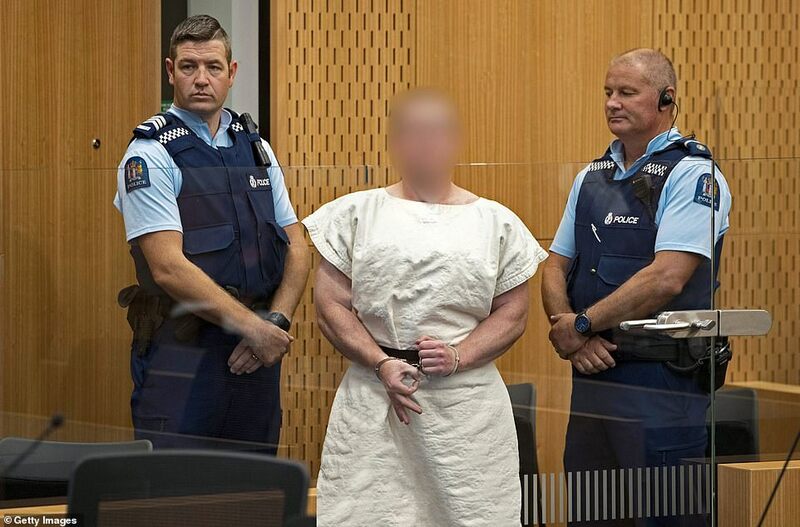 White supremacist Tarrant slipped away and drove across town to the Linwood mosque where he allegedly slaughtered eight more Muslims, bringing the death toll of the March 15 terror attack to 50. 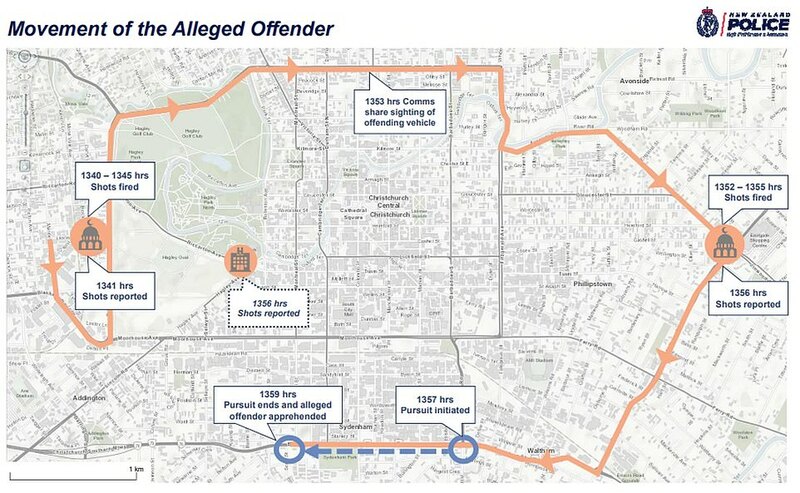 A new police timeline, released on Wednesday, shows what happened in the 18 minutes of chaos between police receiving a call and making an arrest. At 13.40 an email which has the manifesto as an attachment is received by a range of people including Parliamentary Services. At 13.40.44 Parliamentary Services calls police in a conversation about the manifesto that lasted for 12 minutes. While police staff were talking to Parliamentary Services, the attack at Al Noor Mosque was already under way, having begun 44 seconds prior to Parliamentary Services calling. Armed Offenders Squad members are the first to arrive near the scene at 13.46. They exit their vehicle, start approaching the mosque and one member stops to assist a critically wounded victim. At this point the alleged offender is leaving the area, and his vehicle is obscured from the view of officers members by a bus. At this time there is no vehicle description, no information an offender has left the mosque, or how many shooters there are. It takes the alleged offender six minutes to get to Linwood Mosque and he is there for three minutes, leaving at 13.55. At 13.56 police receive information that shots have been fired at the Christchurch Emergency Department. It later transpires that no shots had been fired at the hospital. Sixteen seconds later at 13.56 a member of the public flags down a police car to advise shots have been fired in Linwood. At 13.57 the vehicle is seen by a police unit on Brougham Street and a pursuit is initiated. The vehicle is stopped at 13.59 and the offender is apprehended. At 13.59 police also arrive at the Linwood Mosque. Police Commissioner Mike Bush said the police response was rapid and he was proud of officers who did their job so well. ‘There are 18 minutes from the time of the first call to 111 to the apprehension of the offender,’ he said.